Overnight... A slight chance of sprinkles before 4am. Mostly cloudy, with a low around 46. Calm wind becoming north northwest around 5 mph. Wednesday... Partly sunny, with a high near 71. 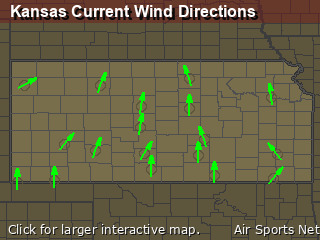 North northwest wind 3 to 6 mph. Wednesday Night... Partly cloudy, with a low around 50. Light and variable wind. Thursday... Mostly sunny, with a high near 77. 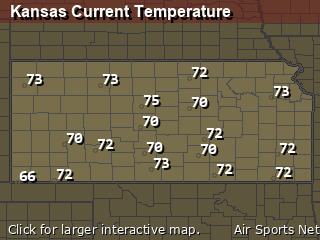 North wind 5 to 11 mph, with gusts as high as 18 mph. Thursday Night... Mostly clear, with a low around 49. North wind 5 to 10 mph. Friday Night... A 20 percent chance of showers and thunderstorms. Mostly cloudy, with a low around 57. Monday Night... A 40 percent chance of showers and thunderstorms. Mostly cloudy, with a low around 58. Tuesday... A 30 percent chance of showers and thunderstorms. Partly sunny, with a high near 74.